Jah Mason, the name Andrae Johnson chose to call himself when he found himself being compelled to pursue a music career. Born 1970, Johnson grew up in an era when Reggae music was at its peak. Having being influenced by brilliant artistes who forged the way, artistes such as bob marley and John holt as well as the rastafari religion, Jah Mason chose to keep his music clean and ‘righteous’. His first recording was done in Junior Reid’s studio, JR Production in 1993, a song called Selassie I. Riddim featured many international artists such as Junior Reid, Terry Ganzie etc. his first album was released in 2002 and was titled Keep Your Joy. this was followed by several, namely Unlimited 2006, Most Royal 2009, Princess Gone-Saga Bed 2006 Life is A Journey 2007 Never Give Up 2005, Surprise Dem 200, Rise 2009. Fyah Mason, as he is also called by his colleagues has done several collaborations such as Run Come Love Me Tonight with Jah Cure, Nicco D on the track Ruff times which was big internationally, also done Collabs with other local and international artistes such as Richie Spice, Spanna Banna, Lutan Fyah, Capeleton, Sasha, Zamunda, Lucian, Joy, Al Jaba du, D’agel, Iqulah, Shakka Pow, Chrisinti and the list goes on. Jah Mason’s music has reached all corners of the world and he has trekked far and wide to do live performances and he is always well received. His fan based is widely international, but no one can deny his profound talent and writing abilities as he writes all his material personally. This makes his music a personal expression issues of love, brotherhood, current affairs as well as rastafari. “My princess gone, far far away..’ This song, which many Jamaicans can’t resist singing along to when heard is only one of hundreds of songs by Andre “Jah Mason” Johnson. 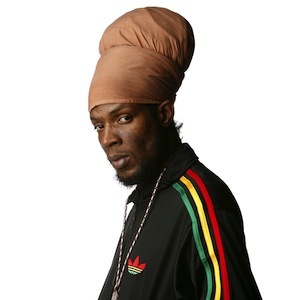 He is a Jamaican Reggae artiste whose music is a personal expression of social issues, love and brotherhood. With a huge international fan-base, Mason is acclaimed for his profound vocal talent and songwriting abilities. He has many musical accomplishments and visits several countries yearly.